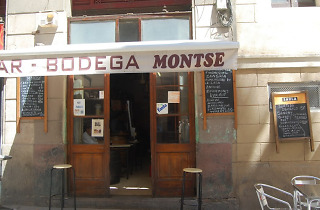 Ever the good hostess, Montse will greet you affectionately from her table in the doorway of her bar. This is her vantage point to make sure that the modern world is kept out. 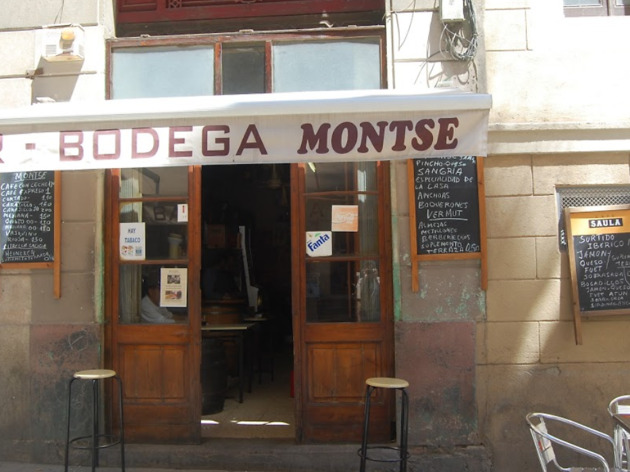 Time stopped here long before the Barrio Chino area was cleaned up and renamed the Raval. Cobwebs have taken over much of the ceiling, which is hung with bunches of dried herbs, the bullfight posters are the same nicotine brown as the walls, and it also has what must be one of the city’s last hole-in-the-floor toilets. They’ve also conserved another strange relic from the past: the prices. Mon, Tue 8.30am-6pm, 6.30pm-11pm; Wed closed; Thu-Sat 8.30am-6pm, 6.30pm-11pm; Sun 10am-4pm.